Is an appealing way to speculate on the price of Gold or to hedge risk. Like trading currency pairs, spot metals enables traders to take a long or short position in gold or silver while simultaneously taking the opposite position in the U.S. dollar or other major currencies. Spot gold and silver trades globally in an over-the-counter market, and prices based on supply and demand. 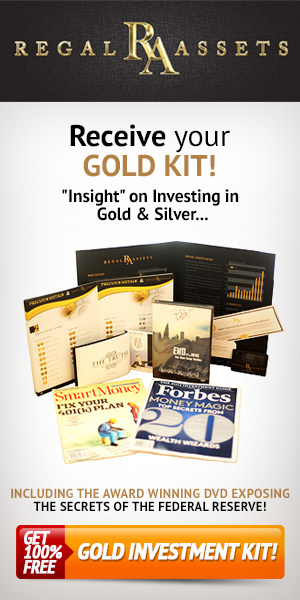 Many people don’t know that you can trade gold on forex too. Many forex broker platforms that you use to trade forex, allow trading of gold and silver against the US Dollar from the same platform. Precious metals have high demand in the industrial sector and as the global economy recovers from the recession, the prices of gold and silver are expected to skyrockets as industrial production picks up and consumers start buying again. Gold considered to be a safe haven in times of political and financial uncertainty. Take the opposite position in the U.S. dollar. That is similar to forex trading. Forex is simply the simultaneous buying of one currency and selling of another. Forex prices are quoted in pairs. One example of a forex pair is the EUR/USD, which refers to the euro and the U.S. dollar. Another pair is the USD/JPY, which refers to the U.S. dollar and the Japanese yen. With each pair, a trader concurrently buys one currency and sells the other. 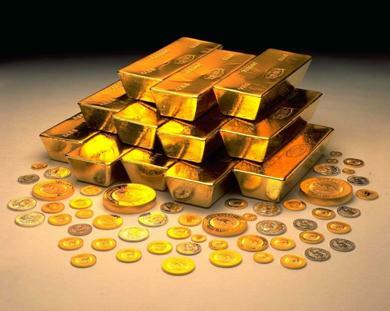 When trading spot gold, you simply trade gold and the U.S. dollar instead of two currencies. A spot gold quote is similar to reading a forex quote. It is even represented the same way (XAU/USD). The first symbol listed represents one “troy” ounce of gold. So the price quote—which may look something like 900 XAU/USD—simply means that one ounce of gold is equal to $900 U.S. dollars. 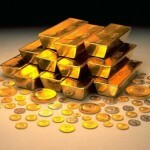 Pricing in the spot gold market is similar to pricing in any financial market. There is a price at which participants are willing to buy spot gold (called ask) and a price at which they are willing to sell spot gold (called bid). The difference is called the spread. So, let’s say you receive a quote for spot gold that looks like 900 / 901. This means that you could sell spot gold at $900, or buy at $901. To show you how trading spot gold works, let’s say you buy a single lot of gold—a lot equaling 10 ounces—at $900 per ounce, so $9,000 total. The spot gold market rallies, and a few hours later you sell the spot gold at $905 per ounce, or $9,050 total. You made $50. That may not seem like much, but remember, you will have many such contracts—because you don’t actually have to pay $900 for each contract. Finally, note that spot gold can be traded both long and short multiple times throughout the day, given that the market moves so quickly. Home Prices Near a Double Dip! ← Brokerage firms don’t like scalpers!